Sony has been hankering after it's own James Bond franchise since 1997, and now the company has finally leveraged control after purchasing MGM. 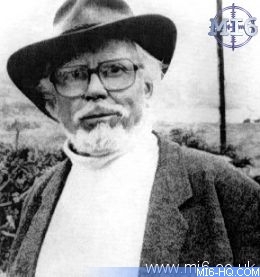 MI6 looks back at the history of Sony, Kevin McClory and MGM..
On October 13th 1997, Sony Pictures Entertainment announced that its Columbia Pictures studio had signed a long-term agreement to produce a series of new films about 007 with the producer and director Kevin McClory. 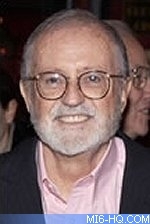 McClory had produced two previous Bond films, "Thunderball" and (1983 remake) "Never Say Never Again". MGM/UA studio contended that it already owned the rights to the James Bond franchise. The company immediately sent out a harsh warning that a huge legal battle was likely to ensue. "Kevin McClory's claims of ownership of rights to James Bond have been disputed for over 10 years," Frank G. Mancuso, then chairman of MGM, said in a statement. "Any claim that he can create a James Bond franchise is delusional.". Mancuso added, "We hope that Sony has not been duped by Mr. McClory's deception," and he threatened the company would "pursue all means to protect this valued franchise." "The new James Bond films emphasize our commitment to create motion picture franchises that serve as tentpoles for our release schedule and create business opportunities throughout the Sony family," Calley said in a statement. Fast forward to November 18th 1997 (four weeks before the release of "Tomorrow Never Dies"), and MGM hit back in an attempt to stall Sony's plans. MGM filed a $25 million lawsuit in federal court against Sony Pictures, charging that Sony's efforts to mount a rival Bond film were due to "a disgruntled former executive of (MGM's) United Artists Pictures." The suit accused executive, John Calley, the former UA president who was at the time Sony's motion picture head, of stealing company secrets. "During his tenure at United Artists Pictures, Calley acquired highly valuable proprietary information about the optimal ways to develop and exploit the franchise and bring it into the 21st Century," MGM said in its complaint. Right: John Calley, who had experience of working in both camps. "This case is about the specious efforts of a global media empire and a disgruntled former executive of United Artists Pictures Inc. to lay claim to the most successful and enduring motion picture franchise in history," MGM's lawyers wrote in the complaint. A month later the legal wrangling brought in the big names. 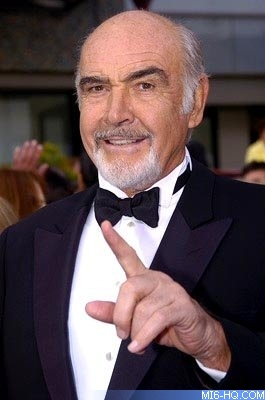 Sony's John Calley was reported to be courting Sean Connery to star in the rival production, just like he did in 1983's "Never Say Never Again", and the media reported Pierce Brosnan had been spotted talking to people from the rival camp. Angered by the continued press coverage Sony's attempt was generating, an MGM spokesman said: "Regardless of who Sony may claim to be in talks with, MGM has all rights to James Bond and will block in court any attempts by Sony to proceed with a James Bond film in any way." Sony hit back in February 1998, claiming MGM had built their franchise on McClory's Thunderball rights. In court documents from the countersuit, Sony claimed that Bond and the Bond movies are all based on the sort of action originally written in the story line for Thunderball. Because of that, they say McClory is the co-author of the cinematic Bond. 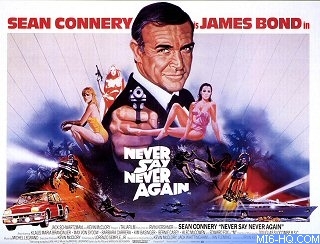 Above: "Never Say Never Again" quad poster. Sony further claimed that MGM and Danjaq LLC owed McClory fees for all the Bond movies they have produced because he was the co-author of the cinematic Bond. And they wanted a full accounting of the profits and losses of those movies, which was estimated to have generated $3 billion. According to the documents submitted to the court, Fleming worked with McClory and scriptwriter Jack Whittingham through 1959 and 1960, developing 10 treatments and scripts that weren't based on any of the existing Bond novels. The joint script efforts, ultimately titled "Thunderball", were intended to become the original James Bond film in 1960. "As a consequence of his joint authorship, McClory has at all times been at least a co-owner of copyright in and to the McClory scripts and all their elements, including the James Bond character as delineated therein," said Sony in the counterclaims. "Consequently, McClory (and now Sony) may freely exploit the McClory scripts." MGM attorney, Pierce O'Donnell called Sony's assertions "preposterous" and likened McClory to the "Rip Van Winkle of copyright laws. He has been sleeping on his putative rights for over 20 years." MGM and Danjaq released a brief response to the new Sony claims of ownership. "The defendant's response confirms our strongly held belief that Sony was delusional in asserting that it can launch a new series of James Bond films," an MGM statement said. "Expanding radically upon Kevin McClory's time-worn assertion of his rights to make James Bond movies based on Thunderball, Sony now makes completely unfounded new claims." A federal judge ruled in favor of MGM on July 30th 1998, issuing a preliminary injunction ordering Sony to halt work on its own 007 series. The order prohibitted Sony from developing the film until MGM's copyright infringement lawsuit was resolved. MGM attorney Pierce O'Donnell said "We're going to prove Sony is a corporate predator, we're going to seek millions upon millions of dollars in damages." U.S. District Judge Edward Rafeedie wrote, "The plaintiffs have demonstrated that by operation of law, they now own the U.S. film and television rights for all of the (Ian) Fleming novels which feature the James Bond character". Sony attorney David Steuber replied with "we believe we do have rights to make James Bond movies and we believe the law and the facts support those rights. It's clear that (Rafeedie) did not appear to agree with our position and, with all due respect, we believe he's misread the cases and is wrong.'' Steuber noted that in his opinion, Rafeedie said MGM had not shown evidence to justify applying the injunction worldwide, raising the possibility that work could continue outside the United States. Rafeedie wrote that MGM and it's co-plaintiff, Danjaq LLC, could apply separately for a worldwide injunction if they felt it was needed. A few months later on September 18th 1998, Sony scored a minor victory in its pursuit of a Bond franchise when the trial judge agreed to postpone the December 15th appeal date. The delay was to give the appellate court an opportunity to rule on Sony's appeal of the preliminary injunction won by MGM, which barred Sony from developing a Bond series while the case is pending. Sony lawyer David Steuber stressed that Rafeedie's decision was not a routine order: "I think this is a significant step because it's a recognition that the validity of MGM's position is not clear cut and there is a legitimate dispute about controlling questions of law." MGM, however, scoffed at the significance of the order. Spokesman Craig Parsons said, "This doesn't change the merits of the case one iota. We are as confident about winning in January or February as we are about winning in December." Sean Connery hit the headlines a month later on October 24th 1998 with reports that he would be returning to his famous 007 role for one (more) final outing in "Doomsday 2000" - based on McClory's "Thunderball" rights. Filming was slated for January 1999 in England, Australia and the Bahamas, with a release date penciled in for a head to head battle with Pierce Brosnan's "The World Is Not Enough". Sony had reportedly offered this project to Dean Devlin and Roland Emmerich, the creative duo responsible for "Independence Day" and "Godzilla". The prospect of peace arose in March 1999, when Sony switched it's attention to creating a new "Spider-Man" franchise. The snagging point was that MGM owned partial rights and Sony could be issued a similar cease and desist order, or hauled through the courts at a later date if it went ahead without addressing them. Right: Sir Sean Connery was tipped to return for an eigth outing as James Bond in the unofficial "Doomsday 2000"
On March 30th 1999, just months before the case was to go to trial, Sony gave up all claims to the Bond character in a settlement with MGM. In return MGM relinquished all its rights to "Spider-Man" so that Sony could proceed. "Essentially," said Sony attorney David W. Steuber, "we have given up the universal right to make a James Bond picture." In addition to laying aside its Bond ambition, Sony forked out over $5 million of the damages MGM was seeking. For its part, MGM agreed to pay Sony $10 million to shore up its exclusive international rights to the James Bond franchise and for certain specific rights to the 1967 Bond spoof "Casino Royale". McClory, as a party to the lawsuits, decided to press ahead on his own, even though he claimed to have received death threats on the Internet. His suit was dismissed by U.S. District Court Judge Edward Rafeedie in March of 2000, and that dismissal was upheld by the appeals court on August 28th 2001. A federal appeals court dismissed the lawsuit by producer Kevin McClory who sought a share of profits from MGM's franchise. The ruling from a three-judge panel of the 9th U.S. Circuit Court of Appeals upheld a lower-court ruling from 2000 that also dismissed the lawsuit, on the grounds that McClory waited too long to assert rights to the Bond character - more than 35 years. Having been cut loose from Sony's plans for a rival series, McClory waited until 2002 to make his next move, when a mysterious Dutchman offered the rights to the James Bond 007 franchise for sale to the highest bidder in the trade paper Screen International - "Auction of James Bond 007 rights - unless sold beforehand. Included are film and literary rights to various James Bond outlines, treatments and screenplays, co-authored by Ian Fleming, Kevin McClory, Jack Whittingham, Len Deighton and Sean Connery". Katherine McCormack from Eon Productions said "It's obviously a very, very sensitive situation. It's potentially going to explode into a legal situation", believing McClory was the man behind the advertisement. Eon, and then struggling movie studio MGM, countered with claiming the exclusive rights to: "The James Bond character as depicted in the Bond films". The situation died off quickly though, with no further advertisements published.